Develop eye-hand coordination and fine motor control. 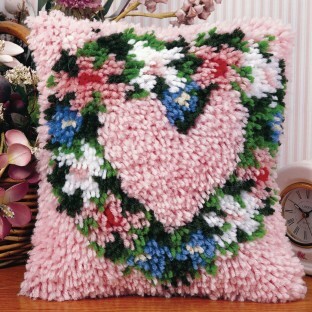 Have fun creating popular latch hook projects. Includes poly/cotton canvas, precut acrylic rug yarn, color chart and illustrated instructions. Develop eye-hand coordination and fine-motor control while having fun creating popular latch hook projects. Includes poly/cotton canvas, precut acrylic rug yarn with easy-to-follow color chart and illustrated instructions. Measure 12" x 12". Latch hook sold separately.